Emory Healthcare is launching the Emory Women's Heart Center a new program uniquely dedicated to the screening, prevention and treatment of heart disease in women. Heart disease is the leading cause of death in the United States, killing more than 375,000 Americans a year. It is the No. 1 killer of women, taking more lives than all forms of cancer combined. Emory Healthcare is inviting people to participate in several heart-related activities during February's American Heart Month to help raise awareness surrounding this common disease. In observance of the American Heart Association's Go Red For Women movement, Emory will host free public events in February at both Emory University Hospital and Emory Saint Joseph's Hospital. An additional event will be offered at Emory University Hospital Midtown in May in celebration of Mother's Day. Participants will have an opportunity to meet Emory Women's Heart Center physicians and staff and learn more about how to prevent, detect and treat heart disease. They will also be able to purchase products and services from vendors providing consultations, displaying jewelry, sharing healthy foods and more. Program: 7:30 a.m. to 1 p.m.
To learn more or to register for a women's heart health event, please call Emory HealthConnection℠ at 404-778-7777. The events are free and parking will be available in the hospitals' main parking lots. Don't forget to WEAR RED! Also, for more information on the Emory Women's Heart Center or to find out if you are at risk for heart disease, call 404-778-7777 to schedule your comprehensive cardiac screening. Emory Healthcare is hosting a web chat during American Heart Month to discuss irregular heart rhythms. Emory physicians participate in these chats on a regular basis, connecting in real time on the web with members of the community who join to ask questions and learn more about important health issues. 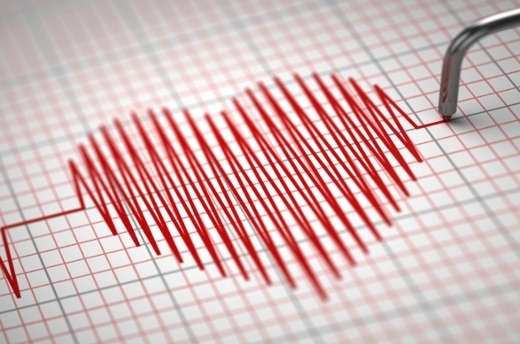 An irregular heartbeat, or arrhythmia, is a disorder of the heart that occurs when the body's electrical impulses, which direct and regulate heartbeats, do not function properly and cause the heart to beat slowly (bradyarrhythmias), rapidly (tachyarrhythmias) or in an uncoordinated manner. According to the American Heart Association, atrial fibrillation, commonly referred to as a-Fib, is the most commonly occurring arrhythmia and affects nearly 2.7 million people in the United States. The prevalence of arrhythmias is age-related and is expected to rise substantially as the baby boomer population continues to age. If left untreated it can lead to various complications such as blood clots, stroke and heart failure. Hoskins and his Emory colleagues recently launched new screening centers across the Atlanta area to help diagnose abnormal heart rhythms. He will be available during the web chat to answer questions and discuss various topics about arrhythmias, including symptoms, diagnosis, prevention and treatment. Please visit the following link to register for the web chat.